Eastern Island or Rapa Nui sits in the middle of the South Pacific Ocean, some 3700 km from the coast of the Americas more or less adjacent to the Chilean port town of Caldera. The island is of volcanic origin and has no permanent watercourses but does have groundwater. In former times the island was covered with a large tract of forest, but its landscape today is mainly scrubland and bush-covered savannah. Except for two reptile species, the animals found here were introduced. This limited variety on land contrasts sharply with the rich and diverse fauna found in the surrounding sea. The island has a subtropical climate and an average temperature of 21°C. The island’s economy is based on agriculture and complemented by seafood (small shellfish and fish, mainly tuna). This activity—which probably would have been more prevalent during prehistoric times—was carried out using nets, fishing lines, traps and hooks made of bone, wood and stone. The plants grown were brought by early colonists and included varieties of name (yam) and batata (sweet potato), taro root, plantain and sugar cane. Ornamental species were also grown, including gourds, ngaoho (Caesalpinia bonduc), pua (Curcuma longa), pía (Tacca leontopetaloides) and several tree species. The Rapa Nui people faced several challenges to their economic system: rainfall is highly variable here, resulting alternately in droughts and floods, and the thin layer of fertile soil overlaying the bedrock does not lend itself to farming. To overcome these difficulties, protect their crops and maintain the soil’s humidity, the people of Rapa Nui built underground gardens, called manavai. According to legend, it was Chief Hotu Matu’a who divided up the island in a radial pattern, giving each lineage access to the resources found at each ecological stratum. Places containing scare resources, such as the stone quarries, were held in common. 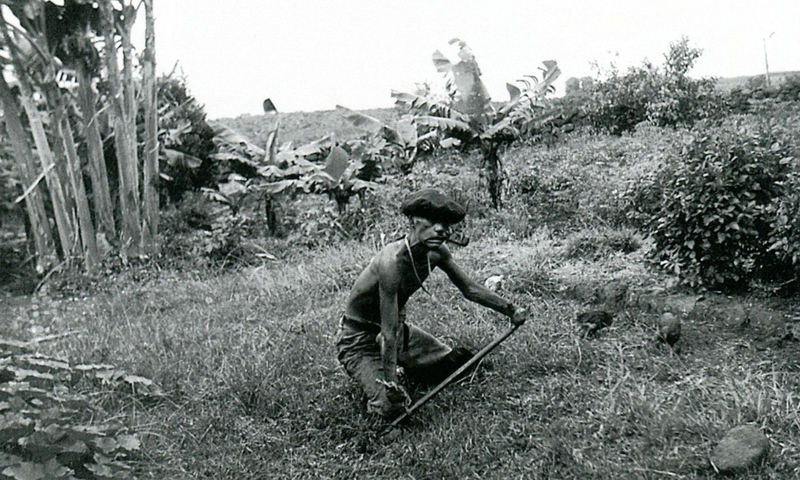 The Rapa Nui people worked the land with very simple implements: the akaúve, a long, stout stick used to make holes in the earth, and the oka, a shorter, narrower stick employed to clear the land of grass, to harvest and to plant crops that did not require deep holes. In addition to plants, the first colonists brought hens and roosters. From local stories about these domestic birds and the precise terminology the islanders’ used to describe them, we can infer that poultry breeding was an important activity. 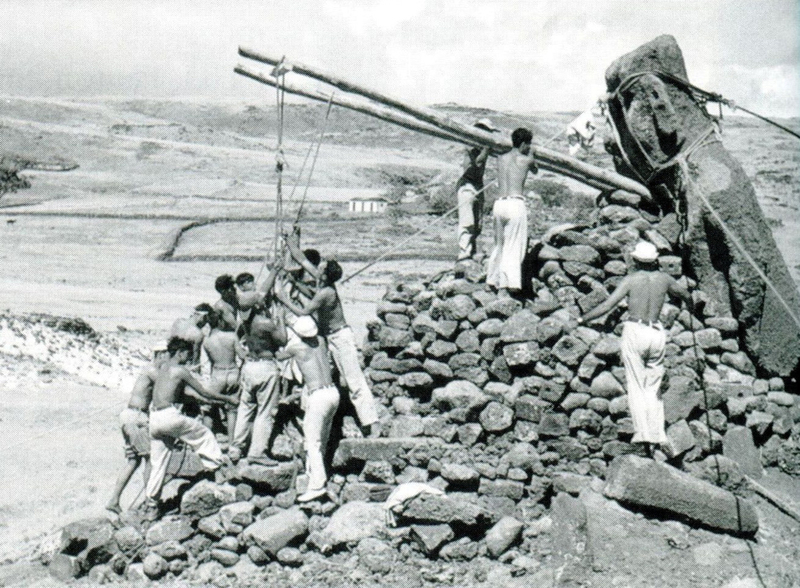 Over time, as the island population grew, more and more individuals became specialized in non-productive tasks such as the construction of monuments. As the need for arable land increased, the original land cover was slashed and burned, with disastrous consequences for soil and water. 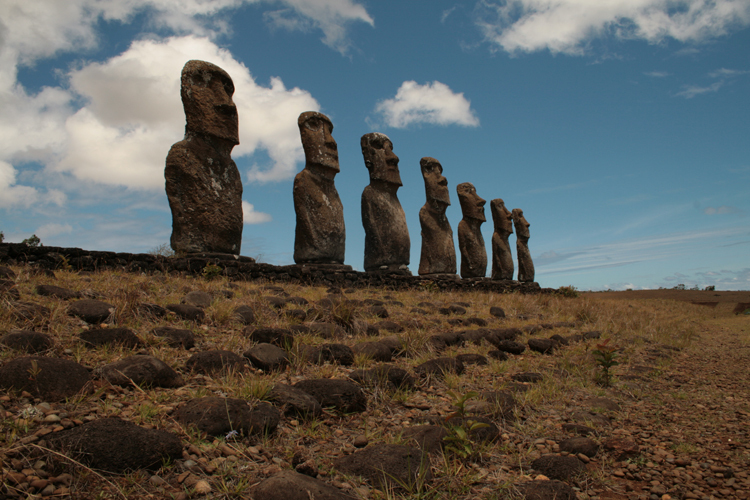 Indeed, deforestation had an impact on all aspects of island life, affecting food preparation, travel from the island and the transportation of moai to the ahu platforms. Just prior to 690 A.D., a period of relative economic surplus enabled the development of monumental religious architecture in the island’s coastal sector that took the form of ahu, ramps and lateral wings paved with beach stones and aligned around a central platform that was long and flat and filled with gravel. 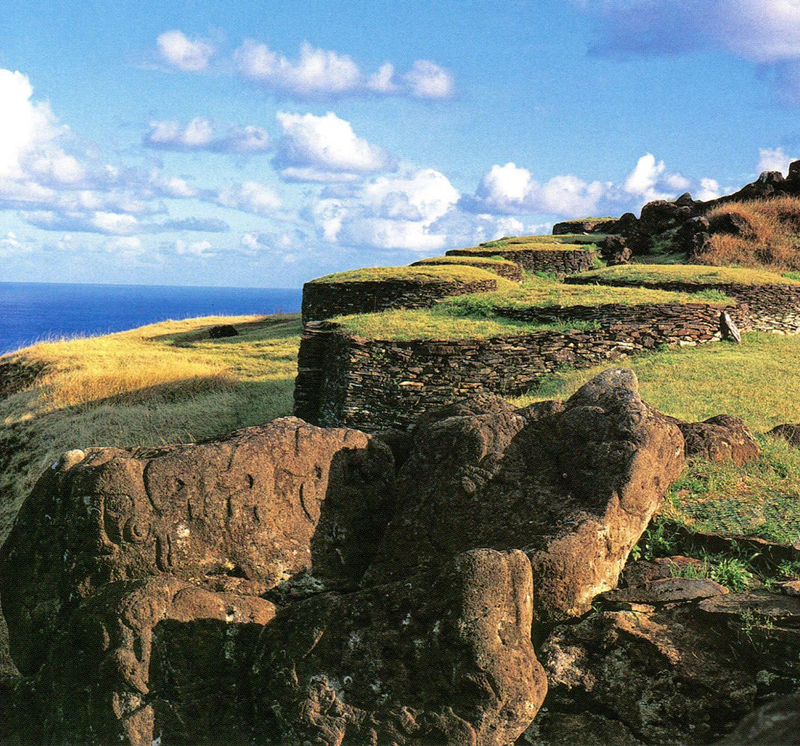 Upon these platforms the Rapa Nui people placed the moai, singly or in rows of up to fifteen statues, although some later ahu have no moai at all. These enormous stone statues are images of the ancestors, each bearing the name of the individual it represents. They were sculpted almost completely at the rock quarries on the slopes of the island’s volcanoes before being moved to their resting place. Apparently, the moai were laid flat then transported headfirst on a road network that ran bordered most of the coast. As a large number of these statues have been found in and around the quarries where they were made, it can be assumed that transporting them was the most challenging part. Once situated on the ahu platform, the moai were gradually moved to a standing position. The most complex engineering feat of the entire process was without a doubt the placement of the cylindrical blocks of volcanic rock that the moai wear upon their heads. Sculpting appears to have been carried out by a number of groups working independently, suggesting the existence of internal competition. The Rapa Nui culture boasts a large variety of other artistic expressions, including some smaller statues made of toromiro wood— the Moai Kavakava and Moai Pa’apa’a Hiro being two examples. These represented spirits called Akuaku and were considered sacred. A wide variety of ornamental pieces and ceremonial figures has also been found. Notable among these are sculptures of fish and lizards and the Rona or bird-men. On their bodies, the Rapa Nui people made use of perfumes, tattoos and body paints, and expanded their ear-lobes as a sign of social prestige. They also possessed a form of writing, still not well understood, in which they engraved signs on tablets called Kohau rongorongo. On these, they inscribed religious songs, heroic feats, stories and events involving important figures and, it is thought, genealogical histories. Only local wise men and experts, called maori, could read these tablets. Today a few still remain, but their content is unknown. 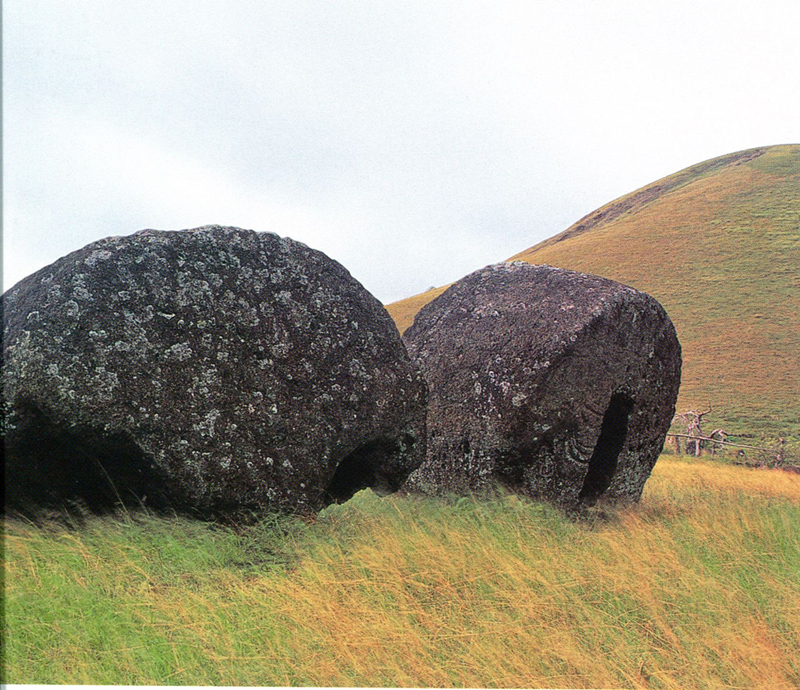 Another important Rapa Nui art form is rock art, examples of which abound on the island. 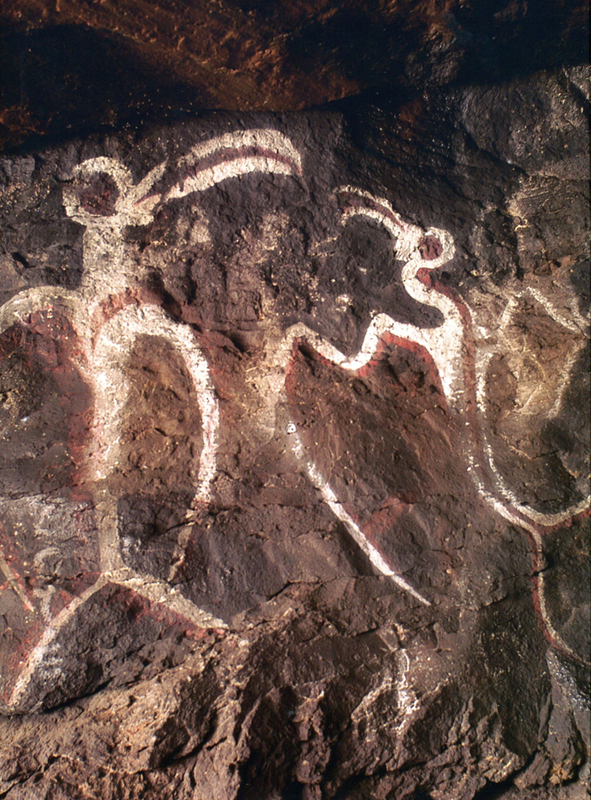 Engraved and in relief upon the rocks, the people left images of fish, birds, turtles, boats, large-eyed human figures, bird-man figures, the god Make Make, and others. Similar motifs are found on wall paintings in the homes of island residents and in other parts of Polynesia such as Hawaii, New Zealand and the Marquesas Islands. 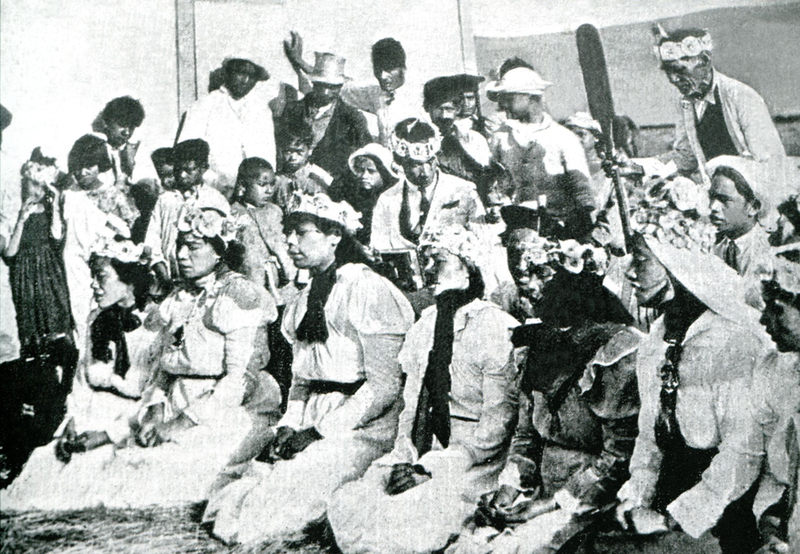 Hotu Matu’a was the first Ariki Henua (king) of Rapa Nui, but in a broad sense the Ariki elite class also was considered queen, princes and nobility. In addition to its political clout, this elite class also possessed magical power—called maná—which was responsible for the growth of plants and animals on land and sea. Children born into the royal family had their own status that was determined by birth order. 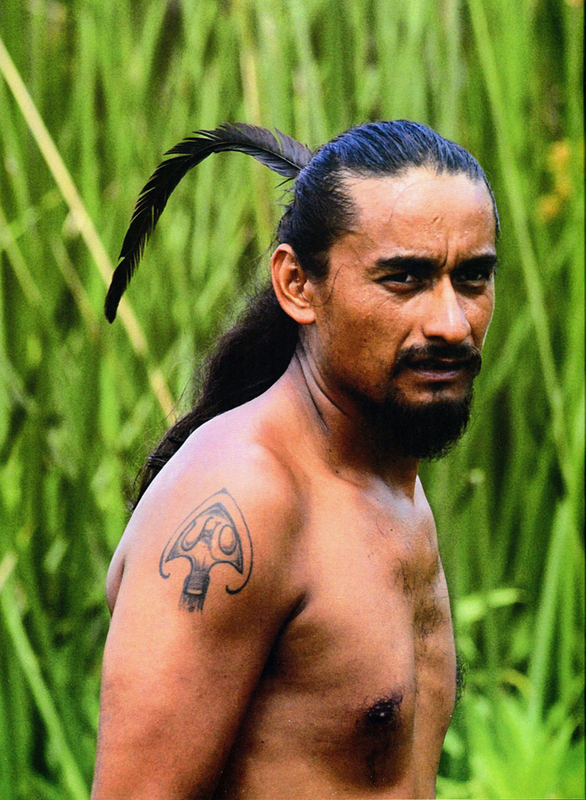 Hotu Matu’a’s descendants established separate groups, or mata, each with their own leaders, high ranking individuals and social classes. Individuals held specific offices such as military commander, police, teacher, priest, home builder, sculptor, farmer, fisherman, and so on. Historical sources have identified 12 main groups that were semi-autonomous on the island. Each mata was in turn divided into clans that occupied an established geographical area, which was off-limits to the members of other clans. This is where the members of each clan lived and carried out their economic activities. During the initial stage of Rapa Nui civilization there were no major disputes among groups, but as the population rose, conflicts began to emerge and gradually developed into full scale war. 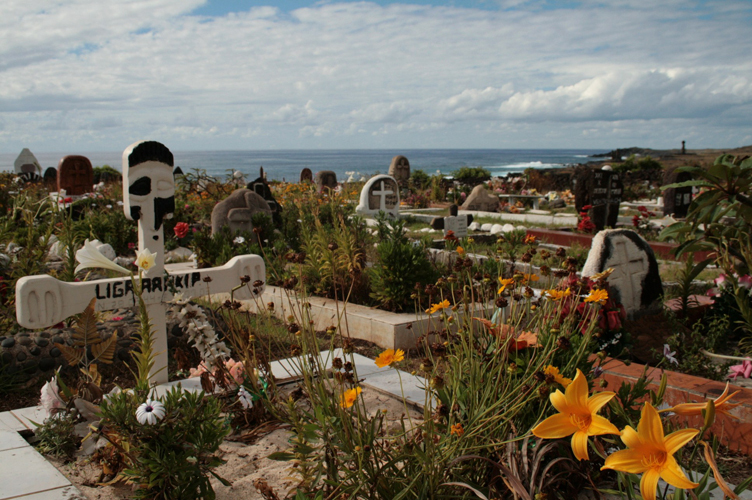 Rapa Nui has a rich religious tradition that begins with the mythical story of the island’s settlement. 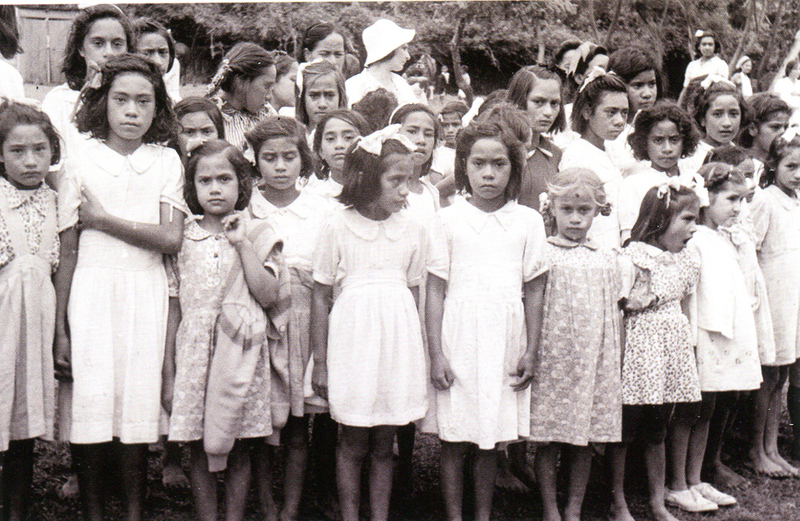 The community of Ariki Hotu Matu’a was forced to depart from its native isle of Hiva due to a rise in the sea level, a volcanic eruption or other cataclysm that may be a metaphor for serious internal dispute. The high priest Hau Maka dreamt of a virgin territory suitable for human settlement. The king ordered an expedition in search of this land, and when it reached Rapa Nui, the seven members of the mission recognized the island as the one in the priest’s dreams. 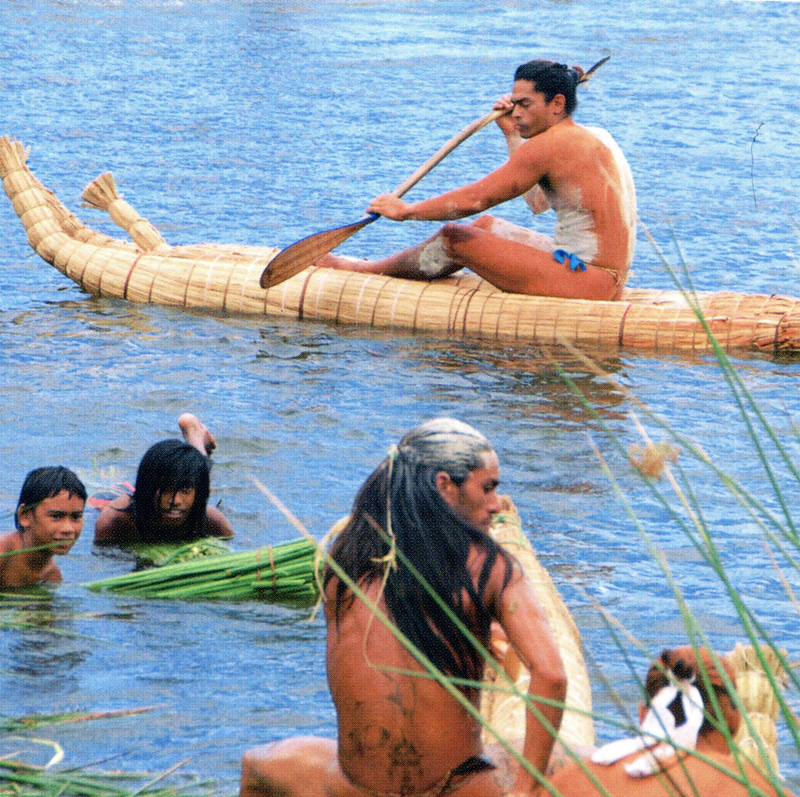 Upon receiving the news verifying the priest’s information, Hotu Matu’a set out on the voyage, taking his people in two canoes. 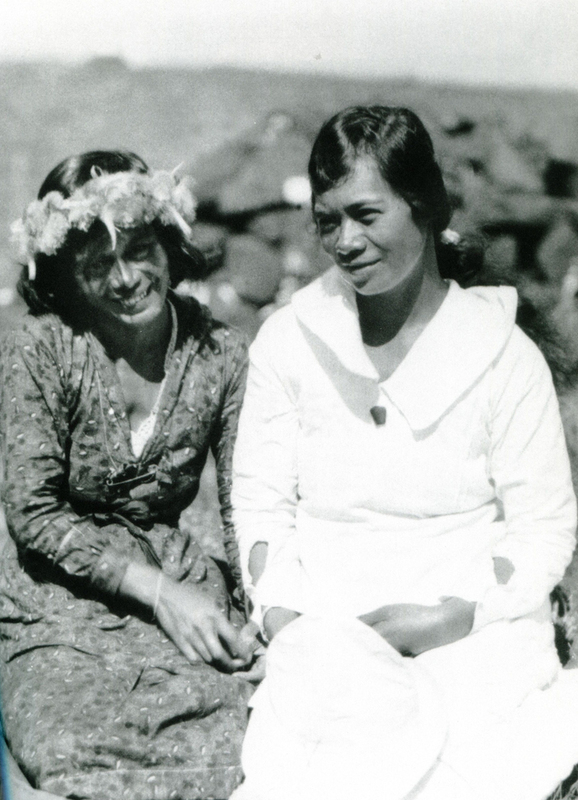 The Ariki’s first tasks after reaching Rapa Nui were to organize and distribute the land for settlement and for farming. The king maintained unity in the land and his reign was peaceful, but upon his death land disputes erupted and escalated until they became a full scale revolution that transformed every aspect of Rapa Nui society including its religious traditions and burial practices. While religious practices in the initial period centered around the ancestors, represented by the moai, in the second period the cult of Manutara or bird-man emerged, and with it the main ceremony of Tangata Manu. This strictly religious ritual of the classical period had now become a political spectacle, a contest in which leaders or their representatives competed to find the first sacred egg of Manutara from a nearby islet and bring it intact to the ceremony. The winner was endowed with the title of Matatoa and reigned for one year. The winning group also appears to have enjoyed special privileges, such as looting the settlements of the other groups. In regard to burial rites, in the classical period the bodies of the deceased were interred in the ahu-moai, but these were destroyed between 1740 and 1840 during a period of internal strife. After the violence erupted, the people began to bury their dead in ‘ahu without moai’ or in tombs built beneath the ruins of the ahu-moai, underneath fallen statues, or under deep piles of stones in the form of long asymmetrical pyramids. Easter Island had both coastal and inland settlements, each with its own settlement pattern. The southern coast was the location of the island’s large ceremonial sites—the ahu–which were the focal point of religious, socioeconomic and political life for the founding lineages during the initial Rapa Nui period. Facing these structures and positioned some 100 to 200 meters away, were the Hare paenga, dwellings that housed the elite of Easter Island society. The residences reached up to 40 meters long and 4 meters wide. 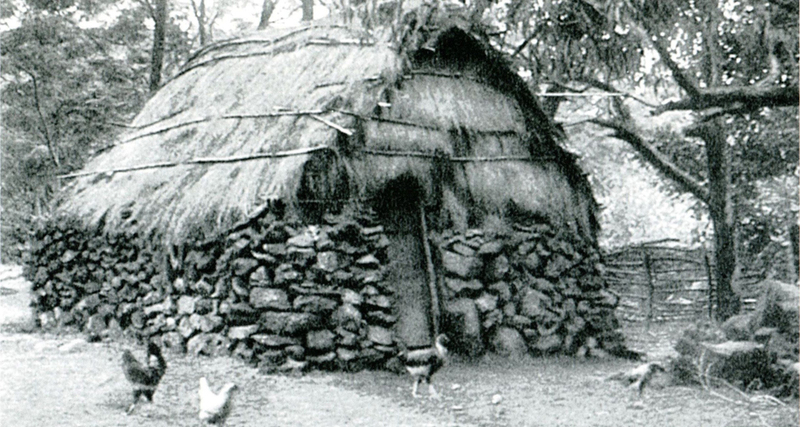 Further inland, dwellings have been identified that housed the extended family of these lineages. These were separate buildings that were rectangular or circular in shape. Each one included an area for stonework, corrals for animals and small circular structures that likely had some agricultural function. Associated with these constructions were caves with very small entrances that probably served as additional rooms. The inland and coastal settlements existed at the same time and were probably interrelated in their operation. According to the earliest dates of occupation, Rapa Nui or Easter Island was first settled around 100 A.D. Hotu Matu’a led the first migration that brought the Hanau momok people from somewhere in Polynesia. The second wave of colonists, the Hanau eepe, arrived soon after. 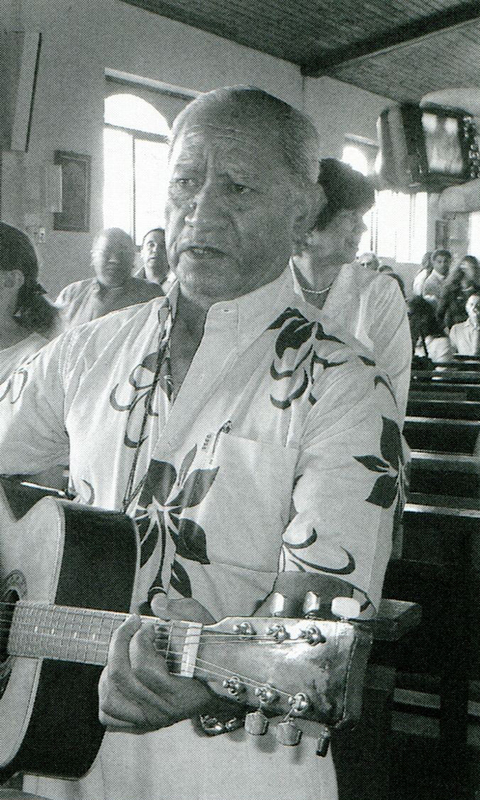 After the death of Hotu Matu’a, clashes between the different groups escalated as the island’s available natural resources failed to meet the needs of its growing population. These conflicts precipitated a crisis within the classic Rapa Nui culture, leading to a revolt against the elite Ariki class and their religious practices. The reorganization of society that followed witnessed intergroup conflict, cannibalism and the destruction of the Ahu-Moai the platforms or altars upon which the moai statues were placed. The arrival of the Dutch navigator Jakov Roggeveen in 1722 marked the beginning of Rapa Nui’s historical age, initiating a time of contact and acculturation with the western world that lasted until 1833. During that time, the Easter Island inhabitants had limited contact with Europeans, mainly through coastal trade in which the natives bartered vegetables, poultry and drinking water for wooden and metal items and engaged in sexual traffic of women. For Rapa Nui society, this was a time of social decline, food scarcity and frequent internal conflicts. In 1862, part of the population was enslaved and taken to Peru, reducing the number of inhabitants by more than half. Between 1864 and 1872, two French missions were established on the island, bringing the islanders into regular contact with Europeans. This changed their traditional way of life, as Catholicism gradually replaced ancient religious practices and the population became concentrated around the missions. As a result, the time-honored territorial division system collapsed, productive systems disintegrated and land ownership fell mostly into the hands of foreigners, who used their claims for sheep ranching. In the end, the population of Easter Island numbered just 175 inhabitants, who dwelt on the land as tenant farmers. 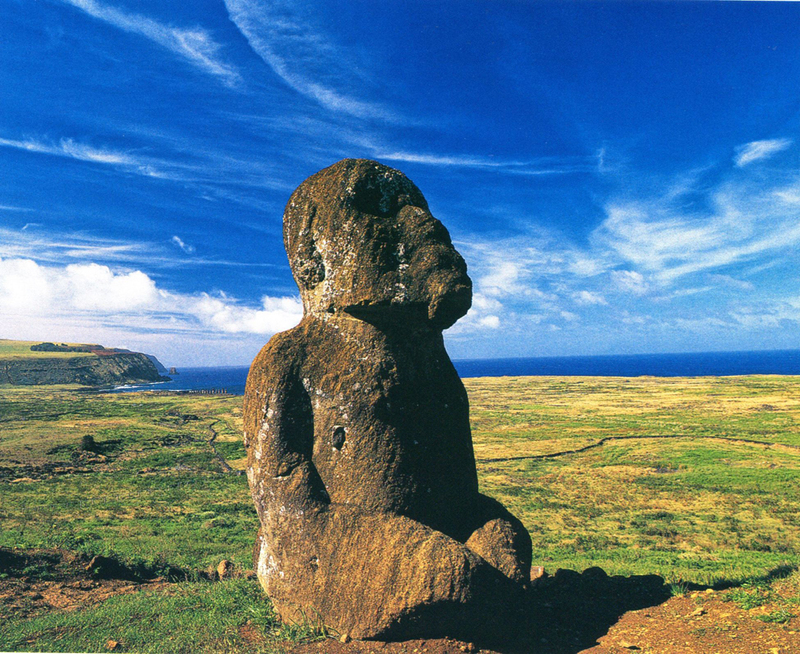 In 1888, Captain Policarpo Toro took formal possession of Rapa Nui in the name of Chile. 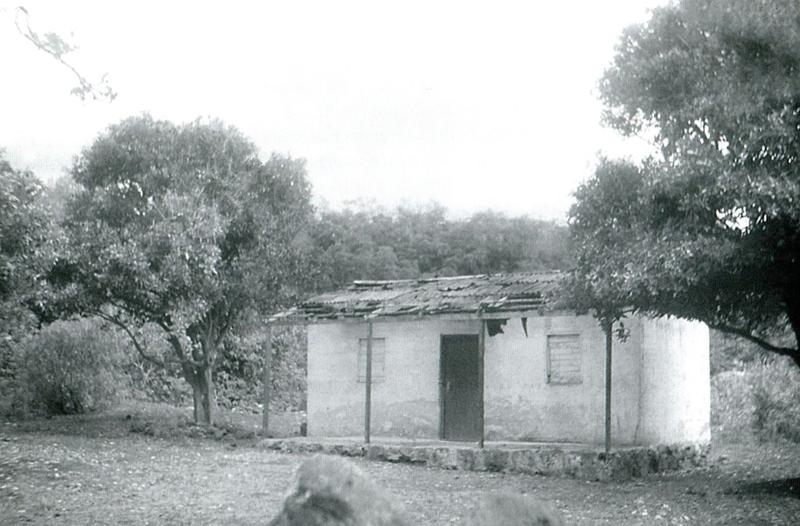 Government officials and three families of colonists were sent to inhabit the island. 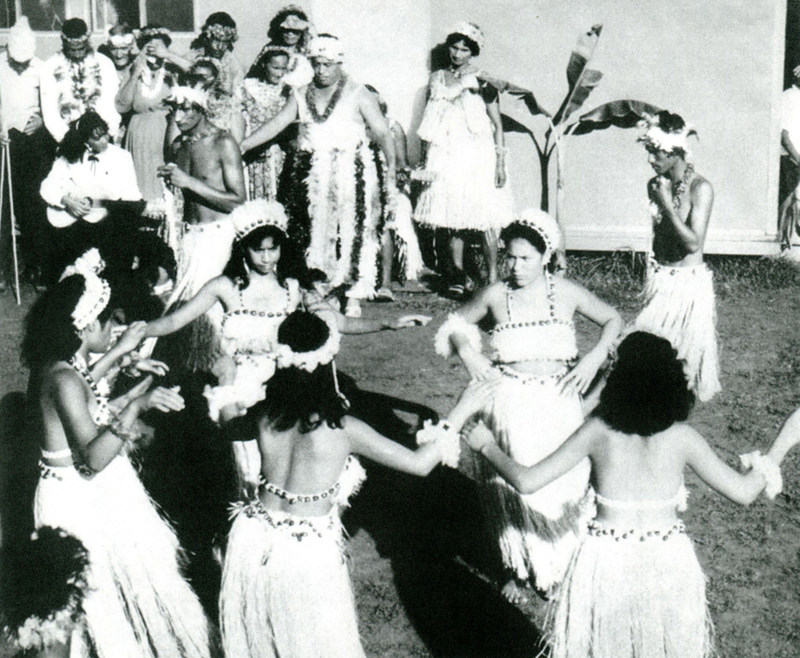 After this, contact with French Polynesia diminished and the Europeans remaining on the island departed. Despite Chile’s claim, Rapa Nui was completely abandoned by Chilean officialdom and the island’s economy reverted to traditional farming and fishing activities as many of the former inhabitants returned to occupy their ancestral lands. 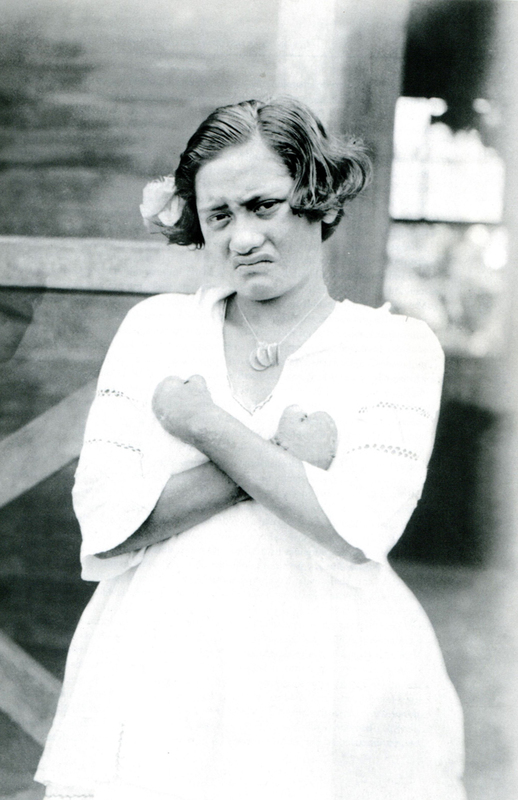 In 1892, the Chilean Government signed an agreement to lease the land and public property on Rapa Nui to a French citizen, and in 1895 the enterprise of Merlet y Cía. 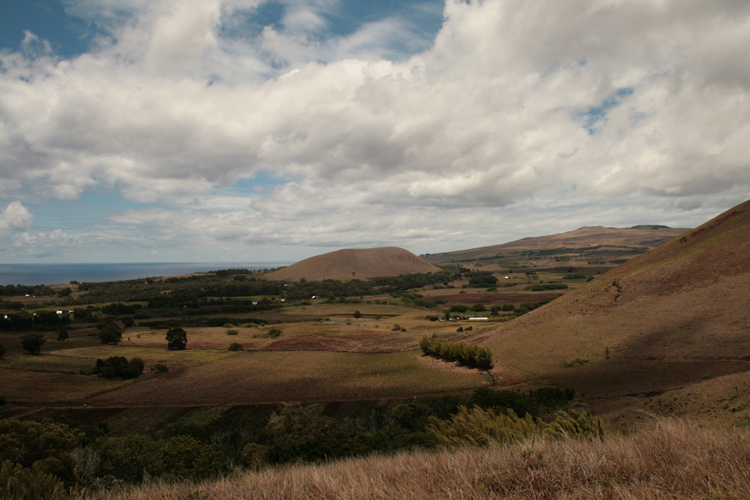 was established on the island, transforming Rapa Nui into a sheep ranch. This ushered in a new period of abuse of the local inhabitants, who were once more reduced to poverty. 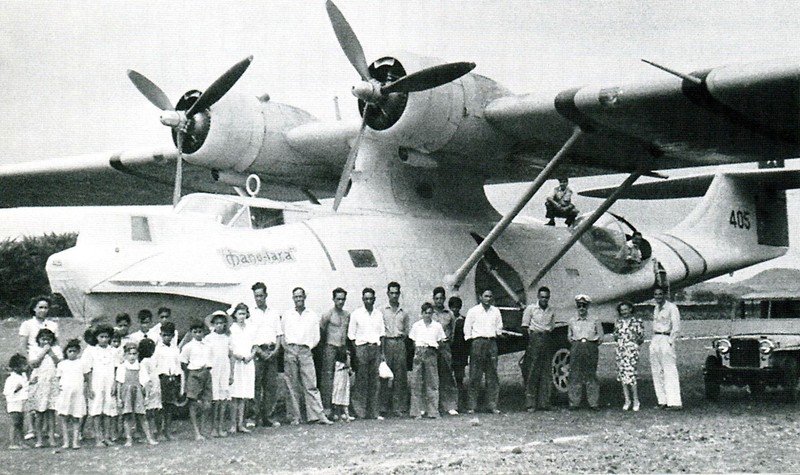 In 1953, Rapa Nui came under the control of the Chilean Navy, which regularized the situation on the island and began a new stage of infrastructure development and contact with the outside world. Scientific expeditions, such as those of Thor Heyerdahl and William Mulloy, reintroduced the Rapa Nui to their ancestral past and stimulated interest in their cultural heritage, revitalizing the production of handicrafts. Islanders began to successfully demand more rights. By 1965 the island’s inhabitants were becoming more open to the outside world, thanks to improved communications, the increasing flow of foreigners and growing migration between Rapa Nui, the continent and Tahiti. 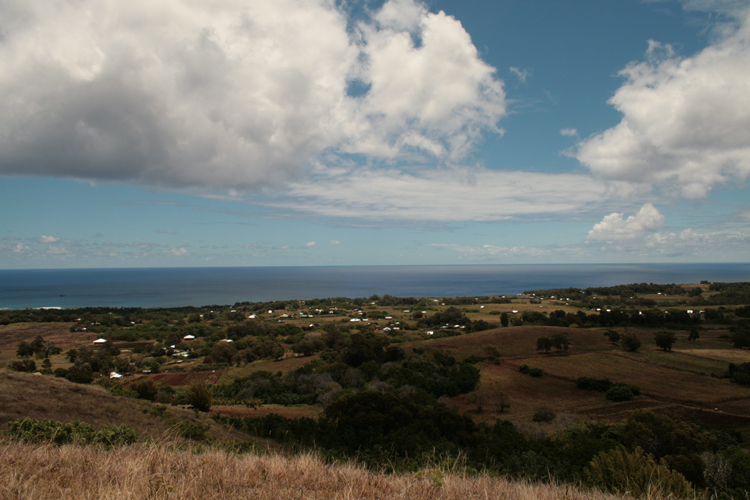 Recent times have witnessed a revitalization of the traditional family lifestyle, with land considered a key component in the continuity of Island culture. Tourism has become a cornerstone of the island economy. Currently, there are 4,647 individuals who claim official Rapa Nui ethnicity, making up 0.67% of Chile’s total indigenous population. 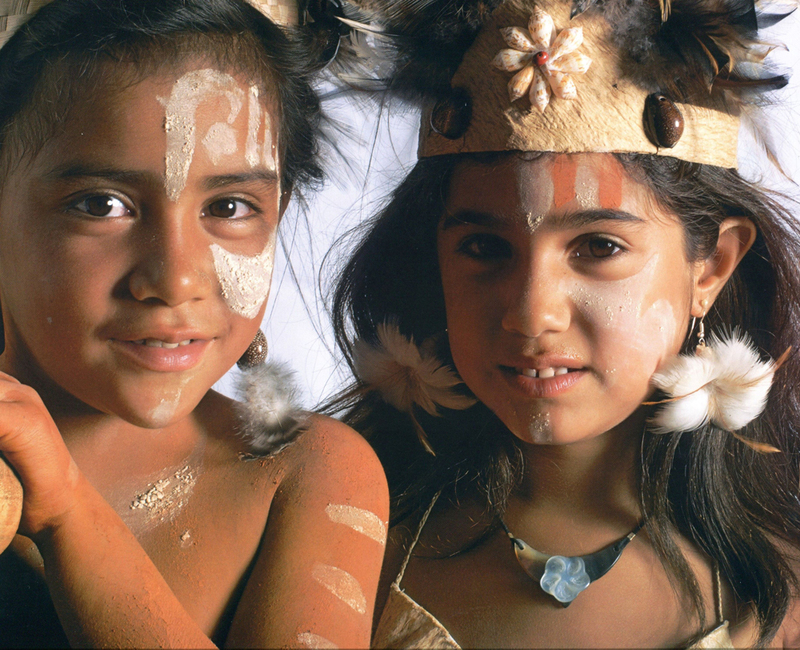 Rapa Nui is a living language that belongs to a Polynesian subgroup of the larger Austronesian language family. In this language, the same morphological unit can act as a noun, adjective or verb, while grammatical categories indicating gender, number and time are expressed using prefixes and suffixes. Rapa Nui is an oral language for everyday use.